A look into Esme's beginning, her relationship with Carlisle, and her take on events as she watches her family grow. What would you do if the person whom you thought you'd be with all your life left you for your cousin before you had the chance to tell him you were pregnant? Have you ever wondered how Leah reacted when Sam broke up with her? Have you ever thought that she desereved a different life than her life in Twilight Saga? This is what I think could have happened. 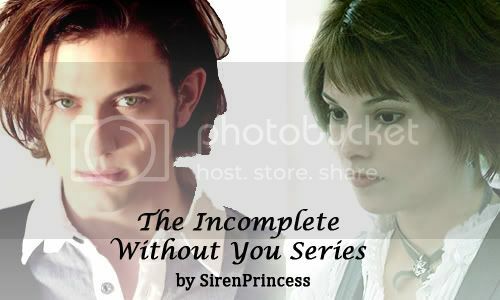 Jasper recounts his first year spent with Alice as they search for the Cullen's. He had struggled mightily, the past three hundred and sixty-five days. The first time they had crossed the path with a human’s scent, he had almost been driven back to his former hunting ways. It's 1918, Edward is lying on his death-bed waiting for peace to release him from the pain he's suffering through-enters Carlisle. This is Edwards transformation into a vampire, told from his POV. Ten stories that will follow Carlisle and Edward through ten life-changing events, from Edward's transformation to meeting Bella and everything in between. They will explore the love that evolved between the two men and the betrayal that 87 years together can bring. Warning: This story is Carlisle/Edward slash. There will be sexual scenes between these two characters. If that bothers you, as they should say in marriage: run now or forever hold your peace. Edward has kept the details of his human life a secret, but when Nessie wants to bake chocolate chip cookies, he's going to have to answer her questions, and reveal the only other girl that has touched his heart like Bella has. A journey back in time to Carlisle's and Esme's first meeting. The path that led Jasper to Alice was filled with suffering, but fate was leading him to someone who could soothe his pain. Sequel to "If One Day Your Sugar Sits Untouched." When you are young, it is difficult to see the influence your parents have over you, the way their experiences and personalities shape you. But when your human memories disappear, it becomes impossible. This is the story of Edward and Elizabeth Masen. Huge thanks to Achelle131 for the amazing banner! A totally different life in Elmbetre, what has happened to Elle in her past? Who is Elle, and what connection does she have with Bella? I lay back on my bed as I remembered. Even years after I met him, it still felt as if that had happened only yesterday. I still could remember the pain of thinking that I would never see him again. “Remembering what?” he asked as he lay down beside me. “Surely you can guess, my beautiful angel,” I said softly as I turned on my side to face him. “The day we met,” he said as put his hand to my face the same way he had done so long ago. “Yes,” I whispered as I leaned towards him. A short, sweet little One Shot about Esme and Carlisle. Summary: Alice comforts Jasper after a hard day. 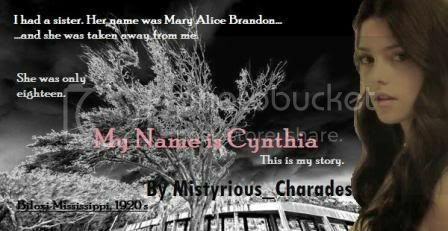 I had a sister named Mary Alice Brandon. She was taken away from me. My name is Cynthia. This is my story. For weeks he had visited my plantation and I had watched as the slaves disappeared one by one. Yet I could not find it in me to fear his presence, dangerously I craved it. The desire to follow my demon was acted out by my body before my mind had even considered the consequence of my rash behaviour. It's the Cullens' first Christmas in Forks, and Carlisle surprises his family with the gift of some very unique jewelry. Later, he and Edward have a quiet talk about what the future holds.